FFA students at Northwest High School display bags of trash they collected around their school and on Mohawk Drive Friday afternoon. We all know that when the final school bell sounds off Friday, students can’t get out of the building fast enough to begin their weekend and wind down from an intense school week. That is not what happened last Friday (March 10) at Northwest High School. The Future Farmers of American (FFA) students were out there picking up litter on school grounds and Mohawk Drive. Burton said this is the first FFA organization at Northwest High School and is in conjunction with the Scioto County Career Technical Center. It began when the students in high school were in middle school. Palmer said March 16 students from Sciotoville East High School will participate in a cleanup. 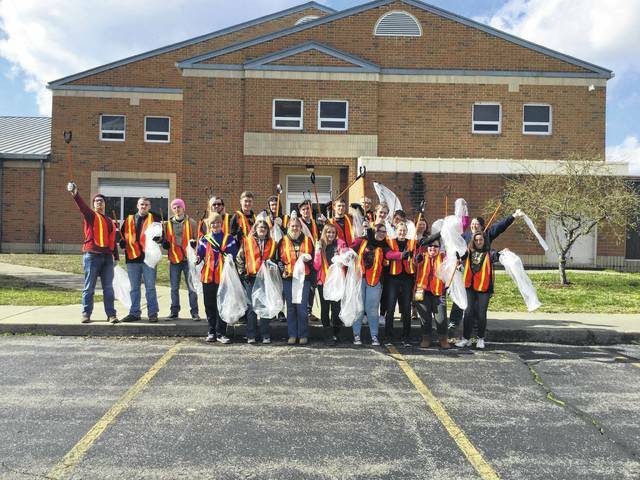 Cleanups will then take place at South Webster High School on March 18, the Union Township Trustees March 25, Scioto County Career Technical Center on April 6, Portsmouth High School on April 10, Portsmouth West High School on May 12 and Clay High School on May 19. “I told Jason, you ought to be dern proud of these kids,” Palmer said. Burton said he is proud of the Northwest students who worked on the cleanup.